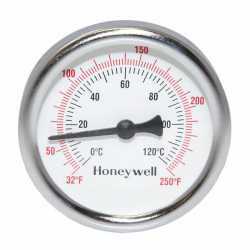 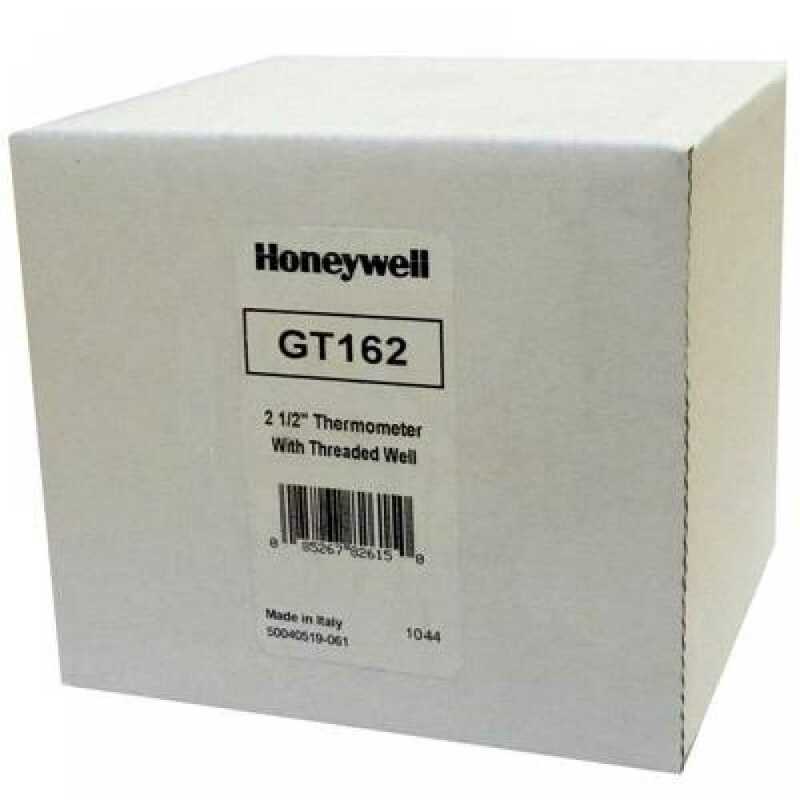 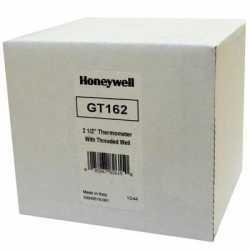 The GT162 from Honeywell is a Thermometer with 2-1/2” dial size and 1/2” NPT connection. It was designed for use in hydronic heating systems. 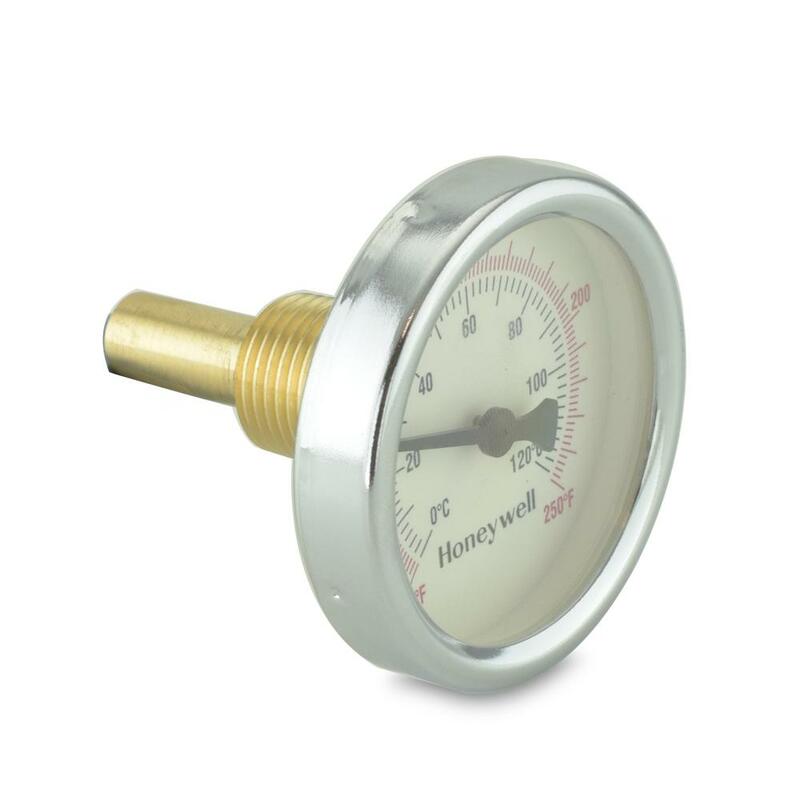 Brass thermowell is included to allow the thermometer to be removed without draining the system.